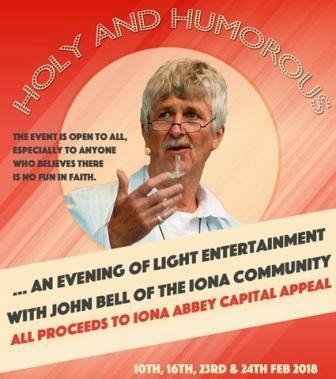 An evening of light entertainment with John Bell of the Iona Community. Tickets £10. All proceeds to Iona Abbey Capital Appeal.